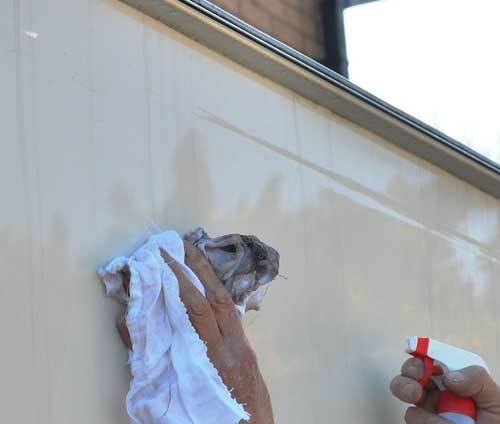 Caravan, camping and motorhome news : Spring Clean! 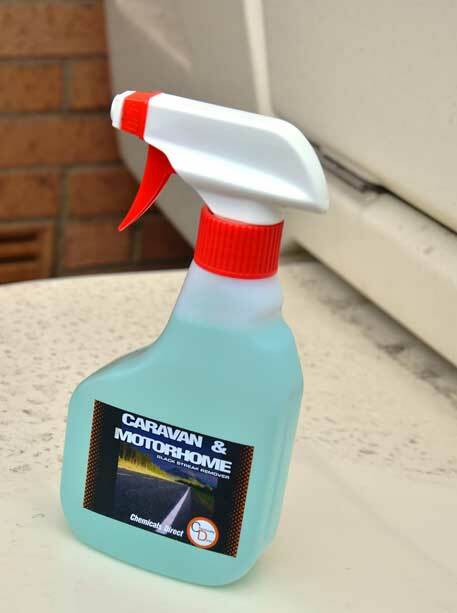 Newly launched from Chemicals Direct is a new cleaning fluid especially for the dreaded ingrained black streaks that appears on your tourer or motorhome. 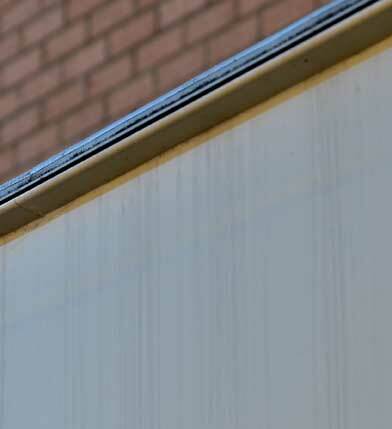 Supplied in a 5-litre plastic container plus attached a small 330 ml spray gun for easy application, we gave it the challenge of some stained streaks to be removed off a caravan side wall. You can add it in a watered down solution which makes it excellent value spreading the solution. The scourge of caravan and motorhome owners – the dreaded streaking! We found it removed deep stains and also it works great on UPVC window frames too applied neat. It brings off general grime in areas where your wash brush doesn’t seem to be able to get too. It can be used on glass fibre, plastic, paint work and glass etc. It can also be diluted to 10-1 or for lightly soiled areas 150-1. A gauge to help you dilute it is formed in the plastic of the main container. There are many products like this one on the market, but Chemicals Directs looks very promising and should be short listed for those wanting to keep their pride and joys looking like factory new!